Clean title. Dealer maintained and serviced. Fully inspected. Full remaining warranty through Lexus. 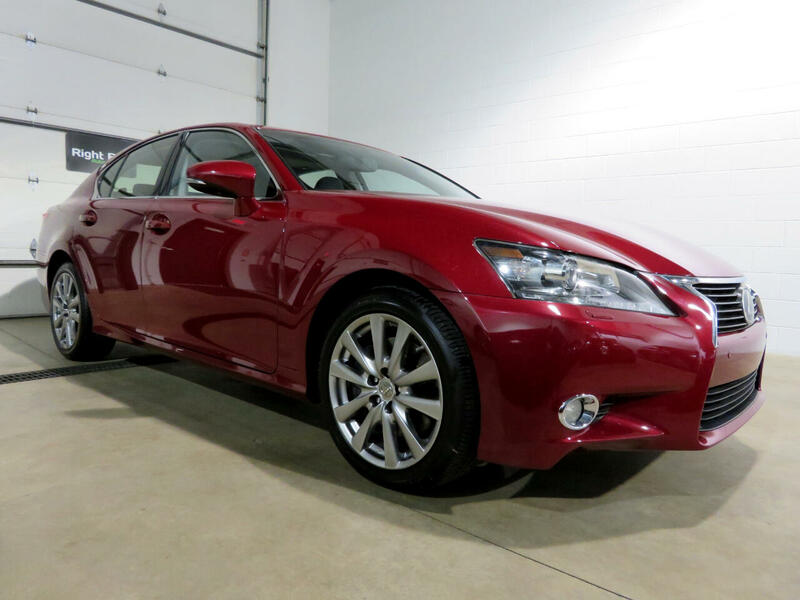 This Lexus GS 350 features the Premium Package; Cold Weather Package and Navigation Package. Some of the features included are a 3.5L V6 (306hp/277 lb ft of torque) mated to a 6 speed automatic transmission; power heated and ventilated driver and passenger front seats with memory; heated steering wheel; power tilt and telescoping steering column; dual zone front automatic climate control; Lexus premium surround sound system w/automatic sound levelizer; 8" high resolution color multimedia display; Lexus Enform app suite; HD radio; HID headlamps; Blind spot monitor; Bluetooth; homelink; rear backup camera; day/night auto dimming rear view mirror; proximity key for doors and push button start; variable intermittent rain sensing wipers; power rear sunshade; sunroof; headlamp washers; wiper de-icer; alloy wheels; all wheel drive and much more. Every vehicle at Right Buy comes with a full inspection report, CarFax vehicle history report, affordable extended warranty options and low rate financing options. Set an appointment to view the vehicle in our heated indoor show room. 4 YEAR 75K MILE BUMPER TO BUMPER EXTENDED WARRANTY AVAILABLE FOR $1,390 or 8 YEAR 120K MILES FOR $1,790.